The latest survey of monarch butterfly’s winter habitat in Mexico is a stark reminder that these butterflies are in need of protection: The area occupied by the butterfly colonies has decreased 27% compared to last year’s survey, which is conducted every winter at the Monarch Butterfly Biosphere Reserve. The forest area occupied by these butterflies is an indirect indicator of the number of migratory monarchs that arrive to Mexico for the winter. Each year, these butterflies migrate between 1,200 to 2,800 miles from Southeast Canada and Northeast United States to establish colonies in temperate forests in the mountains located at the border of Michoacán and the State of Mexico. 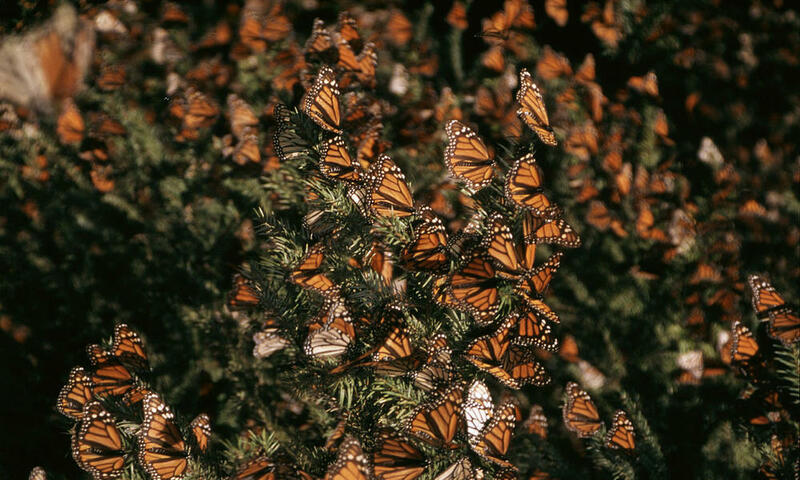 The monarch butterfly migration is a natural phenomenon like no other. But across their migratory routes, monarchs face multiple threats to their survival. Milkweed, the only plant monarchs use to lay eggs and the main source of food for baby caterpillars is disappearing due to herbicide use and land conversion. The forests in Mexico where monarchs spend their winters are under threat from illegal logging. Extreme weather conditions, from warmer climate to winter storms are an additional threat.